The Munda Biddi Cycle Trail is nearing completion. It has been an epic effort to get to this point and the official opening of the whole cycle trail (1000km long) will occur very soon. It will be the longest cycle trail of its kind in the world!!! 26 lucky riders will be undertaking the first Munda Biddi Epic 1000 Ride. These riders will be the first officially registered cyclists to complete the Munda Biddi Trail from end to end. 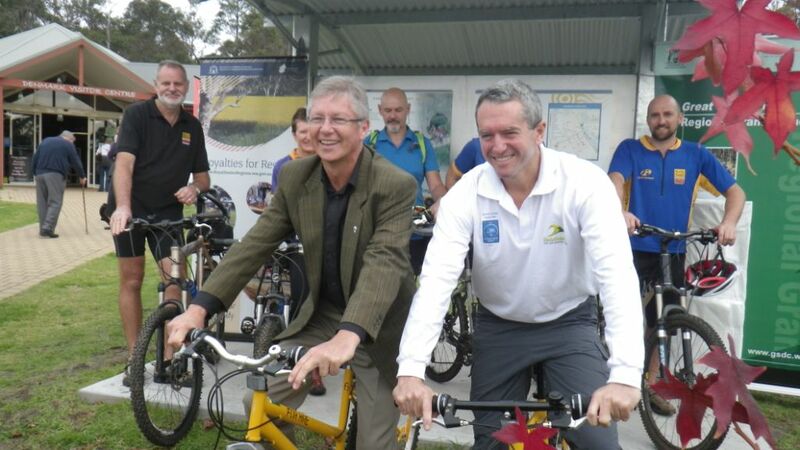 The riders will leave from Albany at midday on April 7 and finish at Mundaring (outside of Perth) on Sunday April 28, 2013. Get your bike ready, set, go! Join in the action by accompanying the cyclists on a stage of their journey.